Heeeeeeeeey! 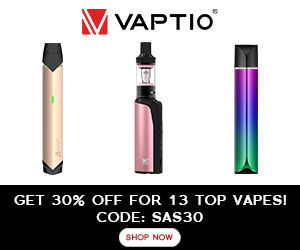 I seem to find vape discount codes being thrown at me from every angle these days, and I always get so confused that I don’t end up using any of them. Pointless, right? Anyway, I decided to put together a little list of vape discount codes I’ve come across. Some of these are exclusive to me and my site, and some belong to others that I’ve found along the way. It’s only nice to share the love, right? If you have spotted a discount code that you feel should be added to this page, please shout out and let me know. If you’re a vaper and you have a discount code that I don’t already have on this page, please feel free to shout it out to me and let me know. The aim of the game is to help our fellow vapers, and having all those glorious money-savers in one place sounds like a great idea to me. If you have noticed that any of these discount codes do not work, please feel free to let me know.